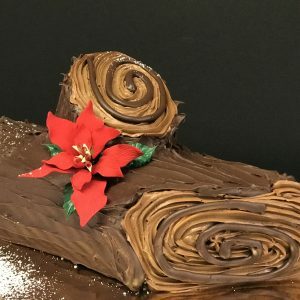 This sweet & simple, 1/4 (Quarter) Sheet Cake serves approximately 25, is rectangular in shape and comes with your choice of a scrumptious cake flavor, accent color, personalized message and simple decor. Availability: In-Store Pickup Only. Please note that orders must be placed 7 days prior to pickup date.This product is not available to ship. 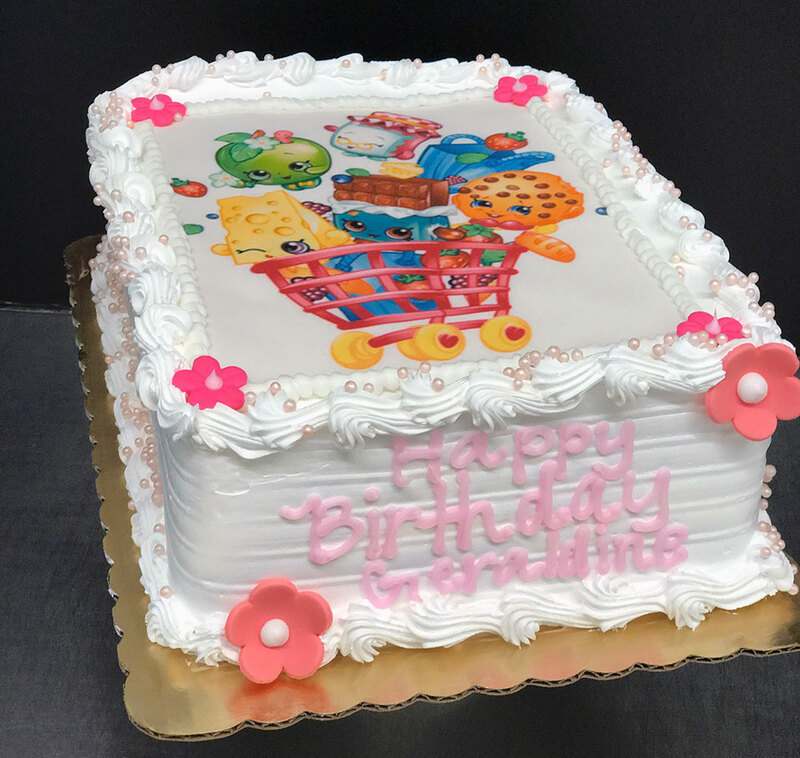 *If you are interested in a more customized cake design, please place your order in-person or call the store directly for more information. 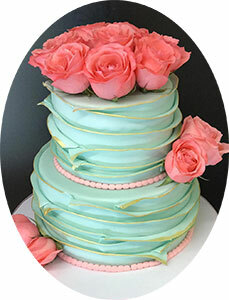 If you choose to add an Edible Photo to your cake, please upload an image and choose the placement on the cake. If you chose the “Edible Photo” option, please upload your image. If you chose the “Edible Photo” option, please select the placement on the cake. 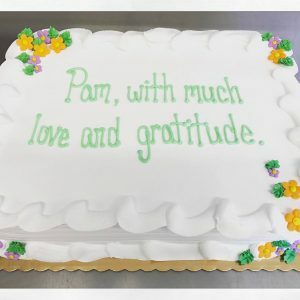 Add a personal message on your cake. Please tell us the date you will pick up your order. PLEASE NOTE: Orders must be placed 7 days prior to pickup date. 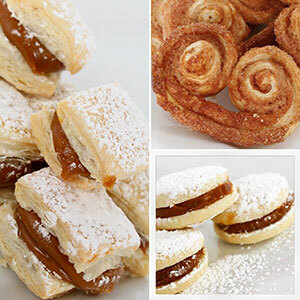 Please note that Azucar Bakery is not a gluten-free, nut-free, nor dairy-free facility and that we do offer items within our store that contain all of the aforementioned. In addition, even though we try our best to avoid any cross contamination in our facility, some of our ingredients may come from third-party manufacturers with nuts in their facilities. 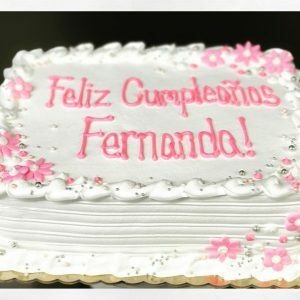 *Azucar Bakery cannot be held responsible for anything that should happen to the cake once delivery is complete, or the cake has left the premises after pick up. Please note that direct sunlight and temperatures of 80 degrees and higher, or excessive humidity, may have drastic and adverse effects on any cake. I have read and understand ALL the information above. Looking for a sweet & simple cake? 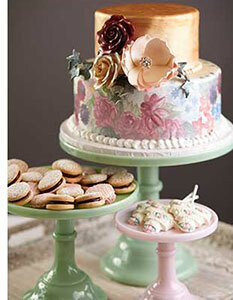 This is a great cake option for birthdays, baby showers, and more! You may also choose to add an edible image to your design. You can easily provide the photo you wish to use by uploading it with your order. *Please note that orders must be placed 7 days in advance before pickup date. *This products is not available to ship.